Join me for a virtual walking tour of the “real” World Showcase, recorded live as I walked the promenade in Epcot. I am joined by world traveler Gary Arndt, who sold his house and travels the world for a living, visiting more than 170 countries in the past 8 years. He joins me and helps compare how accurate the World Showcase representations of the nations, cultures and food are to their original regions. We also do a little Imagineering of our own, and envision what nations or regions we would like to see added to World Showcase, and ask you to share your own with me in the comments or on Twitter. 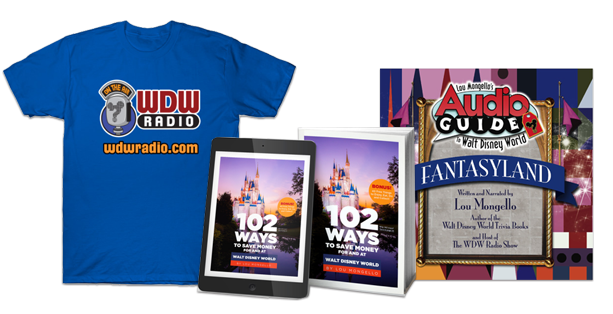 New Walt Disney World Trivia Contest – Enter to win a Disney prize package! QUESTION for YOU from this week’s show: What country or region would you like to see added to World Showcase in Epcot?? Leave your answer in the comments below! You might notice that all of the countries represented in EPCOT are in the northern hemisphere, so I’d like to see something from the south. That doesn’t leave much, but it could be Australia or New Zealand, Brazil or Argentina, and Southern Africa. I love that you have Gary Arndt on the show! I appreciate the discussion of “authenticity” in Disney:I agree that Disney touches on the authentic, the nostalgic and the over-the-top in the world showcase. I agree that the WS in Epcot can never replace travel itself – I do feel strongly that the WS accomplishes its ultimate goal of being an ambassador for its home countries. We love using WS as an intro for our daughters and a chance for them to meet-and-great with people from around the world. I would love to see more discussion of food as a measure of authenticity. I know this was touched on in additional to the architecture and programming in the park. Food could be a great way to dig deeper into this compelling subject. As a note: I respectfully have to disagree with Gary’s assessment (during the France Pavillion discussion) on wine-versus-cheese variation and the skills of a master sommelier. I am in the food and beverage business and many sommeliers I know can distinguish grapes, vintages, blends and locales of wines just from aroma and the 1st sip. His note mentioning that master sommeliers may not be able to distinguish more than “red-white-rose” by aroma/sight made me cringe a bit. I know I may be nit-picking here: As a food lover and as a person who values food as a integral part of the travel experience, this comment in an otherwise rich interview, seemed short-sighted. I appreciate that you brought him on and that you were able to share your expertise. The subject matter is engaging and I look forward to hearing more from you both! My kids and I listened to this podcast and we all agreed, Greece would be a good addition. We are not sure where the Percy Jackson series is these days, but considering it is published by Disney, there is a fit there from a media standpoint. You can also split it as modern and ancient Greece. Have a storyteller or lecture with the ancient philosophers, etc. Would love to see the Spain Pavilion that was long planned come to life but there is already such a large amount of Western European influence in World Showcase so I would most like to see Brazil or Australia. Both would provide amazing culinary experiences (ie both stands at Food and Wine are among the best) and the architecture could be really cool as well. Now in a perfect world I would rather see Brazil at World Showcase and have a whole Australia “land” in Animal Kingdom but thats taking blue sky to a whole new level! I have to agree with the majority. Brazil and/or Australia. Also Africa would be nice as well eventhough it’s heavily represented at AK. One correction though, originally being from Mexico. Mexico does not have pyramids only Egypt. In Mexico, central and south america they are called temples. I have traveled all over the world and have been to many of the countries presented at Epcot, and yet I still love World Showcase and jump at any chance to visit again. I think realism is not really the point – if you’ve been to the real Giverny, does that mean that Monet’s paintings of Giverny are no longer worth seeing, or somehow of less value because they are not perfectly accurate depictions of what Giverny looks like? Epcot’s World Showcase is an artistic interpretation of those countries, and deliberately and beautifully fanciful impression of what those countries feel like, more than what they precisely look like. Of course there are no modern buildings in World Showcase – modernist buildings are what looks the same in all countries, but older buildings tend to be very unique to a place – the Epcot buildings distill unique traits, paint vivid, singular portraits, celebrate differences. The pavilions are not lame mini-versions of their host nations, presented with dire unimaginative realism. They are more like poems celebrating unique national beauty. They’re not documentary newsreels and nor are they meant to be. To me Epcot, and much of Disneyworld, is a giant walk-through work of art, and a wonderful one, and this is how my wife and I visit. Just because you’ve visited the countries presented in World Showcase doesn’t mean you can;t get a lot out of seeing the wonder that is World Showcase, and of course visiting World Showcase is not the same as visiting the countries – they are two completely different experiences, each with their own merits. BTW – maybe you guest was staying in one of the less prosperous sections of Paris, where there are more modern buildings, but the nicest parts of Paris still look very much like the Epcot France Pavillion streets, with architecture very much like that. Oh, and there are also many thatched roofs in the English countryside. My wife’s relatives own such a house, and they are rightfully very proud of it. They got the look almost perfectly. I love your show, as well as this and ANY episode involving the world showcase. I could spend every waking min of my life strolling along the sidewalk and simply taking in the sights. Your link on this page to your ebay auction is wrong, there’s a “w” in between the word “radio”. Here’s an idea for improving the Japan Pavilion: put in vending machines that serve beer! Disneyland never served alcohol at all to the public while Walt was alive. I wonder what he would think of this idea. This was honestly one of the best podcasts I’ve listened to ever. It felt like this podcast was a sequel from podcast #379 – wandering the world (showcase) with joel comm. I listened to these back to back so it was fun to see all the things you mentioned in that podcast and see how it relates to the real world. Also, it was very very cool to see someone’s perspective from outside the Disney World, a very awesome idea to put in your show. Gary added insight that most people in this world don’t have to offer. I agree with him on adding Australia or a South American Pavillon next. An amazing show! thanks Gary and Lou! Especially as my beautiful home town of Bath in England was mentioned, and Edinburgh where my daughter is at University. Thanks Lou for introducing me to Gary’s website. 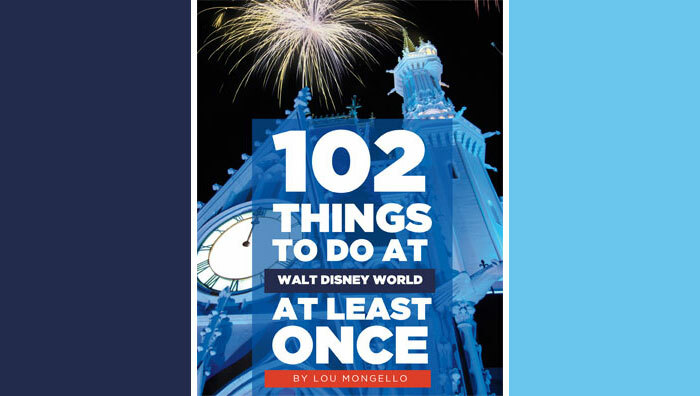 Going to France ( including Disneyland paris this year) but I also have your beautiful 102 book to help me and my family get back to WDW in a year or two for eight trip! Greece or Australia I agree would be great additions as they are very different to what is there, but Africa would also be great. I loved the show! I am just now getting into the podcasts (better late than never) and I’m slowly going backwards. I enjoy them all. I would love to see Australia or Peru added to World Showcase. I wish I’d come in early enough to vote for your podcast. You also hold the distinction of the only podcast that I listen to from start to finish. I really do love the show! The Moores? I’m sorry, but the answer is Moopes. Moopes. LOL!!!!!!! Gotta love the bubble boy episode on Seinfeld. I think one of my top choices for countries to add to World Showcase, would be Australia. Very interested in what they eat (and drink) “down under”. Could add in a cool Australian adventure attraction with crocodiles, kangaroos, koala bears, iguanas and other wild life. Kind of a Rescuer’s Down Under vibe. Are there any other Australian-related Disney movies? Maybe Disney just imagineers up their own interesting adventure-like characters? For a second choice, would like to see something from the heart of South America, like Brazil. Hey-hey! Gary just mentioned Peru. Another good choice for South America. Thanks again for another terrific show, Lou and Gary!! !